Our 5th Annual Adult Spelling Bee & Fundraiser is happening Friday, April 13 at 7:30pm. 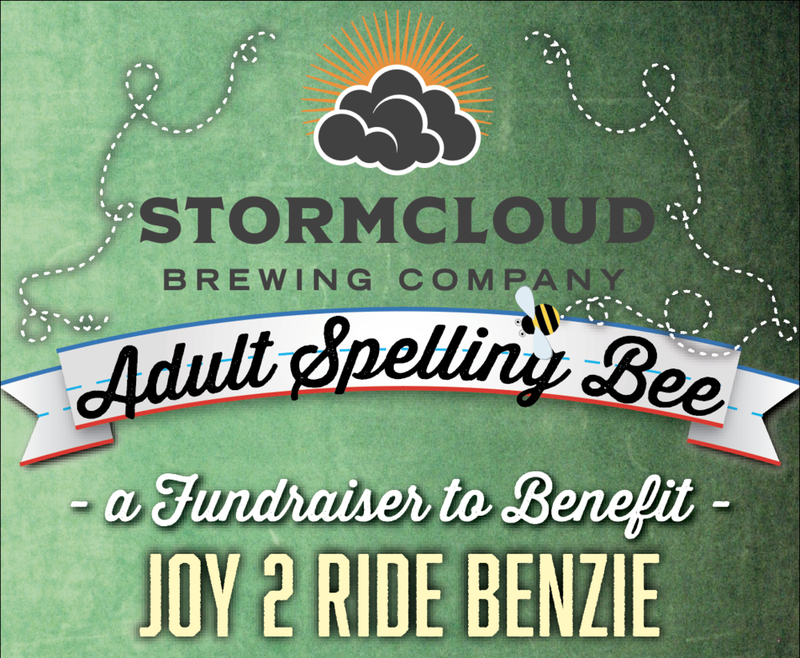 This year's spring spelling contest will help raise funding for Joy 2 Ride Benzie. Entry fees and 20% of Stormcloud sales from 7-11pm on the night of the Spelling Bee will be donated as part of our Stormcloud Builds Community charitable-giving program. Details: Maximum of 20 teams of 1-2 people with prizes for the top three winning teams, special awards, surprises and all around good fun for an excellent cause. And it's very low pressure with minimal performance anxiety. Contestants spell their words on individual whiteboards while seated at a table or the bar. Moderators make the rounds to each team to confirm correct spelling. Hosted by our friend Brian Lawson, Director of Public Relations at our neighbor, Crystal Mountain. Entry Fee: $25 per team. Sign-Up: Register by purchasing your team entry in our online store. Teams must register in advance.